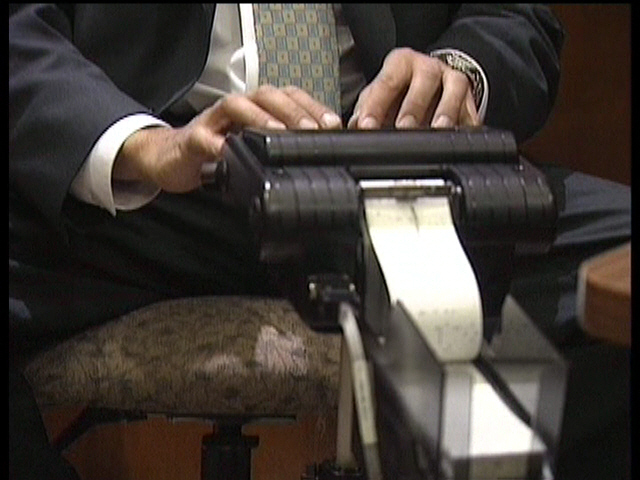 This 6-minute DVD video will help students explore the career of a Court Reporter. It will provide them with vital information such as: Nature of Work, Working Conditions, Employment, Education, Job Outlook, and Earnings. 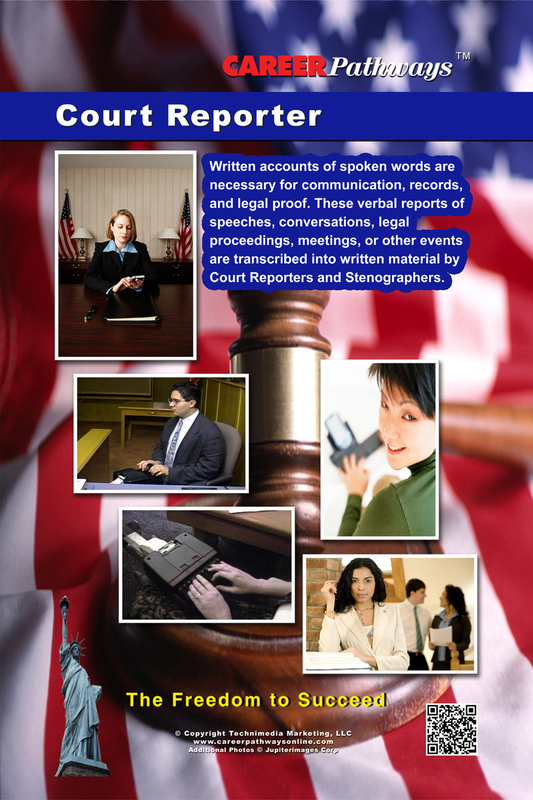 This package includes this coordinating high quality 11 x 17 inch poster compliments the Court Reporter DVD. It gives a brief, yet concise description of the Nature of Work of a Court Reporter. It also includes actual photos from the Court Reporter DVD. Hang it on your classroom wall to promote the career of a Court Reporter.